Want to learn to skate? 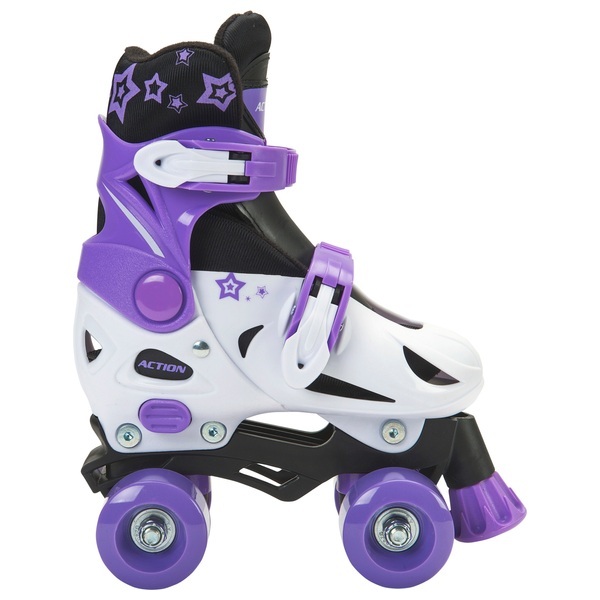 Then these four wheel training quad skates are for you. With their bright purple and white colours they are the perfect accessory for getting out and about. EU Warning: Not suitable for children under 3 years of age. Protective equipment should be worn (knee, wrist, elbow pads and helmet) Adult supervision recommended.